DFMCH senior scientist Rachel Grob, MA, PhD, helped developed a new patient narrative elicitation protocol that supplements the CAHPS® Clinician & Group Survey. 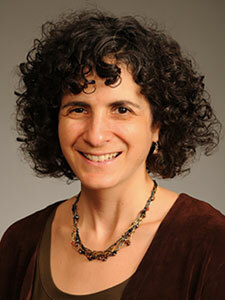 Rachel Grob, MA, PhD, a senior scientist in the UW Department of Family Medicine and Community Health, has helped develop a new national survey protocol that may more robustly capture patients’ experiences with their health care providers. Dr. Grob, who is also the director of national initiatives for the UW-Madison Center for Patient Partnerships, created the “CAHPS Patient Narrative Elicitation Protocol” with colleagues from the Yale University and RAND Corporation CAHPS Reports Team. (The team’s methods are summarized in a recent paper published in Health Services Research ). The beta version of the protocol was made publicly available by the Agency for Healthcare Research and Quality (AHRQ) in December 2016. Although the protocol can be administered on its own, it’s intended to supplement the CAHPS® Clinician & Group Survey (CG-CAHPS), the standardized survey tool that health care organizations nationwide use to collect quality data. The difference is that while CG-CAHPS consists of closed-ended questions, the new protocol consists of open-ended questions. What are the most important things that you look for in a healthcare provider and the staff in his or her office? When you think about the things that are most important to you, how do your provider and the staff in his or her office measure up? Now we’d like to focus on anything that has gone well in your experiences in the last 6 months with your provider and the staff in his or her office. Please explain what happened, how it happened, and how it felt to you. Next we’d like to focus on any experiences in the last 6 months with your provider and the staff in his or her office that you wish had gone differently. Please explain what happened, how it happened, and how it felt to you. Please describe how you and your provider relate to and interact with each other. Health care groups in California and Massachusetts have already used the beta protocol, and are beginning to use the data it yields for primary-care quality improvement projects. Dr. Grob and her colleagues are working to identify other organizations that could serve as early adopters. It highlights domains of care that are important to patients but not included on existing CG-CAHPS surveys. “[This protocol] yields textured descriptions of things that you can’t learn from a closed-ended survey alone,” Dr. Grob reflected.